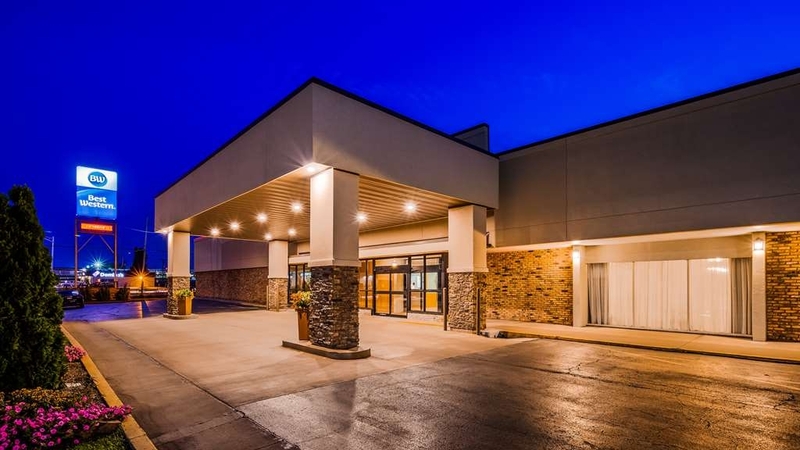 El Best Western State Fair Inn se encuentra en el centro de Sedalia. Venga y disfrute de las mejores atracciónes turísticas cerca de nuestro hotel. Precios bajos garantizados y ofertas exclusivas. Disfrute de deportes, relajación, productivas reuniones de negocios, recorridos por la zona y actividades de aventura en este impoluto y confortable hotel de Sedalia. Los huéspedes se sentirán como en casa en estas inmaculadas y encantadoras habitaciones dotadas de una gran variedad de servicios y toques especiales. 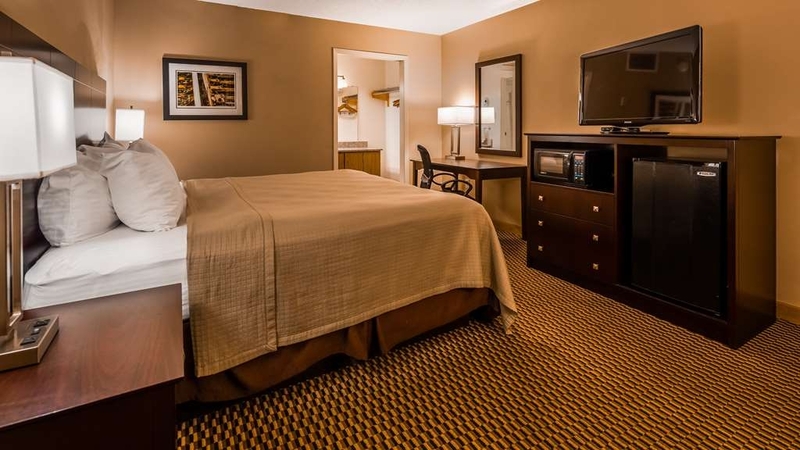 Todas las habitaciones de este hotel BEST WESTERN de Sedalia, Missouri, están equipadas de forma muy completa con televisión por cable vía satélite con HBO®, acceso gratuito a Internet de alta velocidad, cafetera, servicio de habitaciones y mucho más. Y si no desea tener que separarse de su querido amigo de cuatro patas, este hotel del recinto ferial de Missouri admite mascotas. Tras una apacible descanso nocturno y un suculento desayuno completo nuestros huéspedes estarán preparados para explorar la zona. A solo unas manzanas del Best Western® State Fair Inn los huéspedes podrán acceder a grandes dosis de diversión y aventura en la feria estatal de Misuri, que ofrece fantásticos espectáculos durante todo el año. Los entusiastas de las actividades al aire libre podrán disfrutar de 362 kilómetros de pintorescos carriles para bicicletas en la ruta Katy Trail, que discurre desde prácticamente la misma puerta de este hotel de Sedalia. El hotel está situado asimismo a poca distancia del centro de exposiciones Mathewson, el parque Clover Dell y el estadio Jennie Jaynes. Si busca un lugar en el que alojarse durante su viaje de negocios, ha encontrado el hotel correcto. Los huéspedes ejecutivos estarán situados a poca distancia de las numerosas empresas de la zona, entre las que se incluyen Tyson Foods, Maxion Wheels, la base aérea Whiteman y Pro Energy, situadas a sólo unos minutos de este hotel de Missouri. Asimismo, podrá disfrutar de un cómodo acceso al colegio universitario comunitario State Fair, situado a sólo 3 kilómetros de este hotel de Sedalia, si tiene intención de visitar a estudiantes o personal universitario. ¿Desea celebrar un evento o asistir a una reunión en Sedalia? Nuestro hotel ofrece espacio para reuniones con un máximo de 300 personas. Tras un fantástico día de recorridos por la zona, los huéspedes estarán encantados de volver a este hotel de Sedalia para relajarse en la piscina cubierta climatizada con bañera de hidromasaje y piscina infantil. 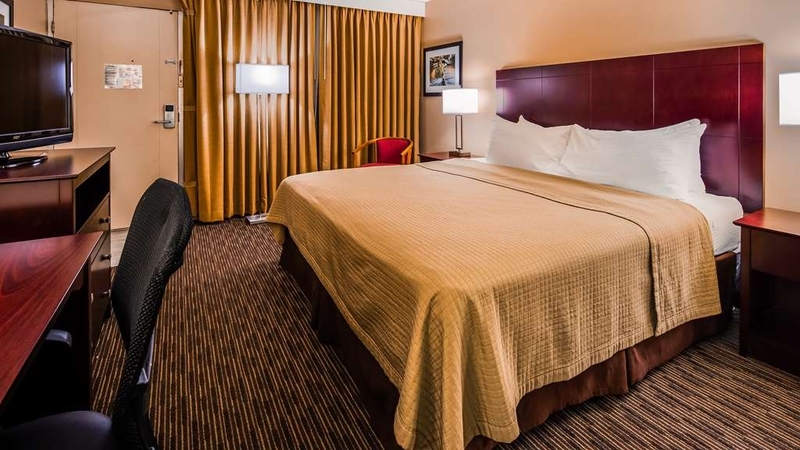 El Best Western® State Fair Inn ofrece también toda una serie de servicios adicionales entre los que se incluyen lavandería, estacionamiento gratuito, servicio de transporte de ida y vuelta al aeropuerto, un salón de cócteles y un restaurante. El cordial personal del Best Western® State Fair Inn estará encantado de darle la bienvenida. Disfrute de su estancia en nuestro hotel. Always a good spot by my folks in Windsor Mo. Clean , the mattress was too soft this time but the manager was interested in helping and agreed he would replace it. Breakfast was delish each morning however I much prefer the blueberry muffin from my last visit to the choco-chip bread this time. Crystal O, Thank you for the nice comments, blueberry muffins are back. "Good family hotel, indoor pool"
Our second trip here, both for sporting events in Missouri. Rooms are very clean. Reasonably priced. Easy to book, and get in touch with the hotel front desk. Small indoor pool but nonetheless.... indoor! With a family you may enjoy booking a hotel facing the pool, if you still want to be indoors (and quiet) then ask to be away from the pool. Very nice bartender, but also next to large, new convenience store. The staff was very accomodating at the BW. The room was clean. The breakfast bar was very good and had many selections. I am diabetic and was able to make selections from the breakfast bar. They don't have an elevator but when reserving the room I let them know I needed to be on the first floor due to handicap. While it wasn't a handicapped accessible room it was on the first floor. Thank you for the nice comments. We are proud of our breakfast selections and groups able to eat together and visit. 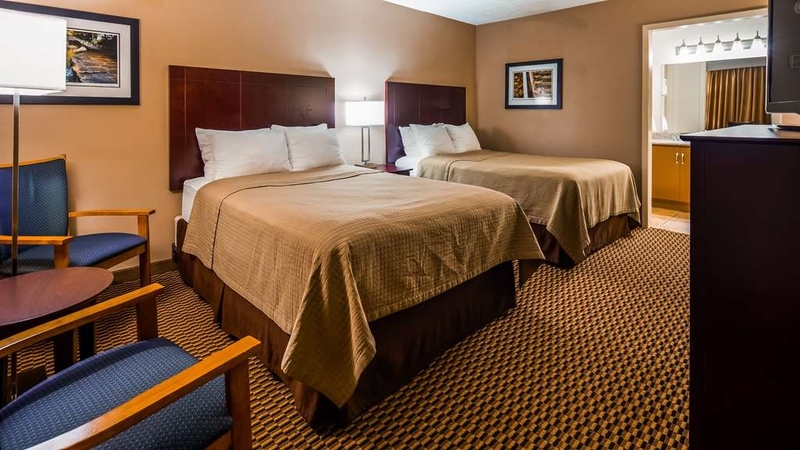 Thank you for selecting the Best Western for your stay in Sedalia MO. Nothing majorly wrong. Just an overall feeling of disappointment of money spent at this property versus the quality I received. Room very worn, bathroom floor unclean, and air conditioning totally dead. Luckily the evenings were cool and I could leave the door open as the windows were not meant to open. The breakfast buffet was above average, but even that was tainted by the breakfast coupon police lady that was rude all three mornings when checking coupons. Granted there was a huge event at the fairgrounds Friday and Saturday night, but Sunday night and Monday morning after the crowds cleared out, the outside grounds were pretty disgusting/trashed. Thank you for the review, I am glad nothing majorly wrong. And thank you for being understanding of the large groups in town. The guest arriving Monday did not see weekend event leftovers. Thank you for visiting Sedalia. Nice friendly hote staffl, good beds and a really great hotel breakfast, not many around can beat it. rReal wholesome food just like a restaurant, Good options and high quaity, something for everyone. We expected better for the price. We stayed on September 14th-15th for a time reference. I am copying my review at that time from Expedia. The walls are somewhat thin, so we can hear our neighbors televisions as well as every time a door opens or closes. The door/wall leading outside is not sound proof at all - footsteps, car sounds, and talking are constantly heard in addition to the loud highway. Our room also has water pipes above it that you can hear 24/7. The hottub was not working, which seemed to just be accepted by staff as the way it is right now. The pool was small, freezing, and awkwardly placed below the indoor rooms. Even though the "hotel" is far from full capacity, there were no indoor rooms available (and the fact that most were outdoor rooms was not mentioned online) The room was nice enough and staff were polite enough. We skipped the breakfast, so no comment on that. Overall an okay experience. Very disappointed considering the price. I'm very happy with this BW. The pool is nice and the breakfast was good. it's a very retro décor and comfortable to lounge in the pool area. close to all the activities I was sin town fore. We'll be back. Thank you for being our guest and including Sedalia in your vacation plans. "Close to the MO Fair"
Great location near the MO state fair. Grandkids think the indoor pool is GREAT! Booked online and checking in was very smooth and quick. Missouri State Highway Payrol stay there during the fair. Hot breakfast has something for everyone. We enjoyed our stay there. Donna S, Thank you for staying with during the fair. The pool is a hit for the children while the adults are taking a break from the fair. Thank you for being a rewards member and taking the time to let everyone know how you enjoyed your stay. "Good priced and OK breakfast buffet"
The rooms are large, although nothing extra. Refrigerator and coffee machine in the room. OK bed. Good service. OK breakfast buffet, a lot better than many orher more expensive hotels. Some rooms with exterior entrance, but quiet neighborhood. I have stayed here many years while attending the Missouri State Fair. 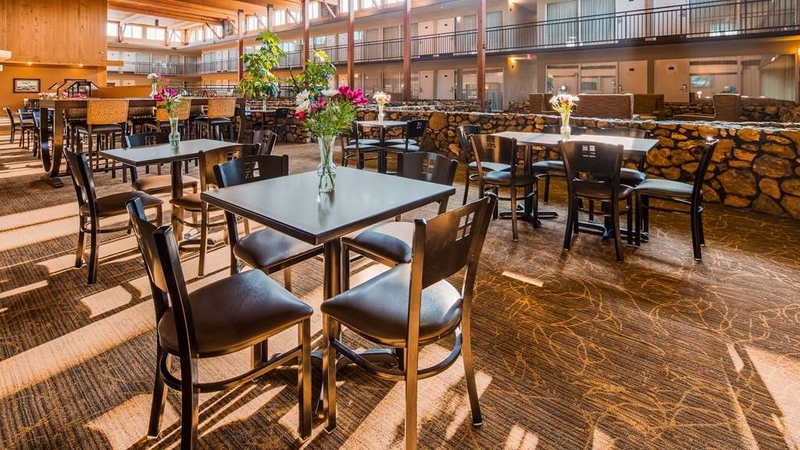 Front desk is friendly, rooms are clean, and breakfast is GREAT. Lots to do in Sedalia. Katy trail is very close, shopping , and restaurants are plenty. Very Pleased!! Was not a planned stop & was very smooth check in & room was very convenient on outside of complex, close to my parked truck, in front of door!! Bathroom a little small, but shower was GREAT!! Recommended to ALL!! "Here for a horse show"
Recently remodeled and is very nice. The breakfast buffet is outstanding! Management and staff very cordial, welcoming, and accommodating. Two things need a little improvement - they could use new towels, and our room faced onto the indoor swimming pool and it was a bit noisy when kids were swimming. I'd suggest an outside-facing room for quiet. Otherwise, very nice place to stay and a good price. "Comfortable stop for travelers and visitors"
Wonderful place to rest your head whether just stopping for the night or spending a few days visiting. 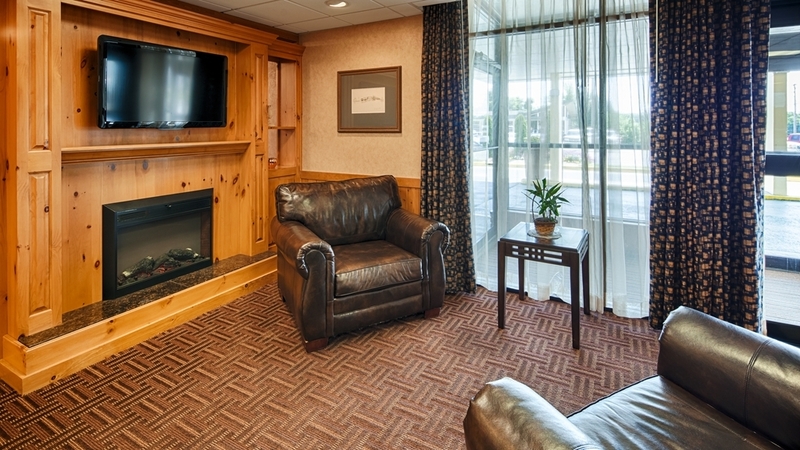 The staff is terrific and so willing to make your stay the most comfortable it can be. The indoor pool is definitely a plus. Thank you so much for your kinds review! We are so glad that you had a great stay with us! We hope to see you again soon! "I feel so sorry for those employees"
The night we checked in the girl at the desk was the only person working and I could tell she was overwhelmed. She was very polite and she did her best to assist us, but she kept getting interrupted by other people and phone calls and such. It seemed strange to me how she was the only one working when other hotels I have been to have had at least two people at the desk. After we checked in we needed some extra towels and we had to wait a bit for her to help some other people. She apologized greatly for not getting to us, but we understood how busy she was. I wish this place would have more people working so there could be more hands to help everyone. Other than this the place was okay. Not the best, but I did like the large buffet they had. Thank you for taking the time to review your stay with us and for letting us know about your concerns. We appreciate our staff and work hard to make sure that they are taken care of. We schedule in anticipation of our guests needs, and are always working on getting that right. Nice Best Western with big rooms including pet allowed but not exactly friendly rooms. Pets are not allowed in the lobby or any other areas. Friendly staff and a large breakfast buffet. Rooms are large and many are accessible to the outside. Thank you for taking the time to review us! We take pride in our hotel and our staff! With our open air restaurant and lounge, unfortunately pets are not allowed everywhere in the hotel. Sorry for the inconvenience and hope to see you again. Stayed here many times over the years and they continue to improve and update. Staff is over the top friendly. Great breakfast buffet not just a Danish like some. Room was clean and comfortable. Recommend to all. Thank you for your dedication to the Best Western State Fair Inn and your review! It is our goal to exceed customer expectation's during each of their stays, and I am happy to hear that we have hit the mark each time for you. We look forward to seeing you again soon! We were in town for the Scott Joplin festival and decided, at the last minute, to spend the night. BW had one of the few rooms still available. It's comfortable, not super fancy, but clean. Most rooms have external access, so be aware. It has a small indoor pool, which kids seem to love. The breakfast is hearty and there's something for everyone: eggs, breakfast meats, biscuits and gravy, pastry, oatmeal, yogurt, fruit, coffee, tea, juice. We appreciate you taking the time to let us know how we are doing. We are glad you enjoyed your stay! 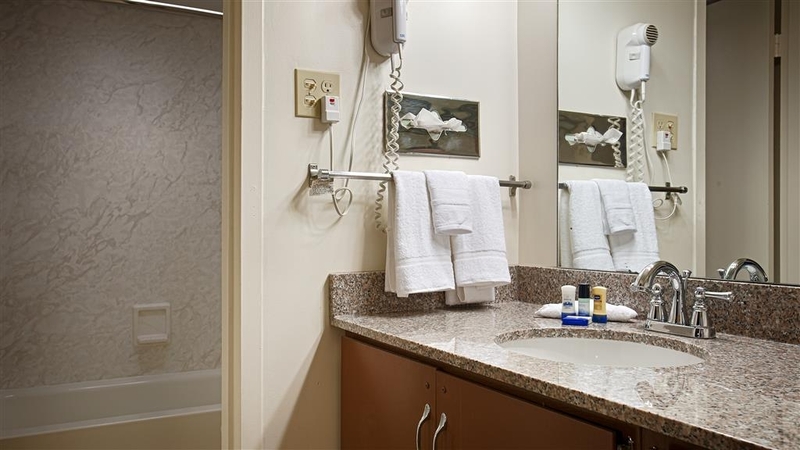 Next time you stay with we will get you into one of our 54 interior rooms. Down side was the walls. Could hear the people and kids in the room next to us. Was outside access only to the 2nd floor room we had reserved. Room was clean over all and was comfy too. Would recommend for sure. Thank you very much for your review! We are glad that you enjoyed your stay. Please come visit us again! My son and I stayed here as we biked the Katy Trail from to Clinton to St Charles. This BW hotel was very clean, recently remodeled, and had a great breakfast to start out our second day of biking. The staff was super friendly and they even allowed us to store our bikes in a conference room that wasn't being used. Great stay!! As a single older woman traveling alone, I felt quite safe inside and outside of the hotel. The room was nice, clean, and comfortable at a reasonable rate. I was pleasantly surprised of the quality and variety of the buffet! Real eggs instead of the typical powdered, breakfast meats, biscuits and gravy, cold and hot cereal, and fresh fruit. And to top it off, they used real plates and silverware. The staff was exceptional upon check-in and check-out. This is an older hotel that has undergone room renovations. Bed, carpet, some furniture replaced. The mattress was comfortable. They still need to work on drapes, bedding, and towels!! Shower water temp. inconsistent. Room was small but very clean!!!!! I stayed here during a trip on the Katy Trail. It is close to the trail but you need to use google maps to figure out how to get there. This is an older hotel and they were refreshing the rooms with new beds and furniture while I was there. The breakfast was ok. Good selection of channels on the tv. I had an outside room that faced the highway. Heard truck traffic all night. "Not a bad place to stay." Nothing fancy, currently undergoing a remodel. The staff was friendly but the quantity of shampoo and towels was a bit chincy. Great wifi and close to several decent restaurants. Close to the State Fair Grounds, too! "Great stay...choose room wisely based on your sleep preferences"
We were here just for one night during a wrestling tournament, so there were lots of kids in town. The breakfast buffet and pool were great to have. My only bit of advice is that, if you like to go to bed early (before 10 pm), choose an exterior room away from the pool (the breakfast buffet opens at 6:30 am in the same area). Pool hours at 10 am to 10 pm and I'm guessing that it was louder than average during our stay because of the tournament going on. Wish I would have thought of that when booking and gotten a room away from the pool. Otherwise, very friendly staff, clean rooms, good breakfast, and a reasonable price! Would definitely recommend! Nice hotel and friendly staff. Breakfast buffet is good. Convenient location to restaurants, shops and the state fair. The hotel seems pretty expensive, especially during certain events. Not sure if that is price gouging or not. "Very Nice Hotel and Good Value"
This was one of my better experiences with hotels while traveling. The staff was very friendly and helpful,. the room was average, but was clean and comfortable. The complimentary breakfast was the best I've had at any hotel in this price range. Good location. The overall value was excellent. I'd definitely recommend this hotel. The exterior is being completely renovated so I think it will look great in another week. Our entire group liked the hotel and would definitely stay here again. Teens loved the pool and the breakfast buffet. thank you for a wonderful stay! "Felt like transported to the 1970's"
This hotel had very pleasant and helpful staff. The rooms however are in desperate need of updating. Bathroom tiny and out of date. The room smelled old and musty with old and outdated furniture. I very seldom comment on towels but felt like I was drying off with sandpaper. Will not return unless I hear they did a complete remodel. I'll start with the positives: Joyce at the front desk was very friendly and helpful during check-in and check-out. My 13 year old daughter even commented how nice she was after we checked out. The buffet was good. My kids were all able to find things they liked. I would rate it high for a free hotel breakfast. Now the cons: Security. I was shocked to see that the outside doors around the building were not accessible by room keys. I have NEVER stayed at a hotel where this was the case. While I didn't feel "unsafe", I think it is strange that ANYONE can just walk right in to the area where guests are staying. Loud. We had someone in our group with an outside room. With a major road outside, the traffic was SO LOUD. I moved my daughter to the inside room we had so she could actually get some sleep for her tournament she was there for. A nightmare for guests with allergies. They offered smoking rooms and pet-friendly rooms. While for some this may be a pro, it is a complete nightmare for so many that have allergies. I haven't stayed in a hotel outside of Vegas that was not a smoke free hotel in I don't know how long. I don't care how you separate the rooms, smoke will permeate to other parts of a small building. Dated. This hotel is old and it shows. The room was clean but because everything is dated and musty, it just didn't "feel" that way. We had a group staying and we used febreeze in all our rooms to try and get rid of the musty smell. New paint, brighter/fresh linens, new carpet would go a long way. All in all, we survived. If we travel to Sedalia again I will be looking at other options. "Ok except for the noise"
Smokers hours and drinkers partying in parking lot until wee of the mourning. Was going to tell them some people have to work but decided that I best leave the drunks alone. I have experienced this before and all It causes is them to make it worse. We stay at this Best Western several times a year when we visit family in Mo. The staff is always friendly and helpful and the rooms are always clean and well maintained. 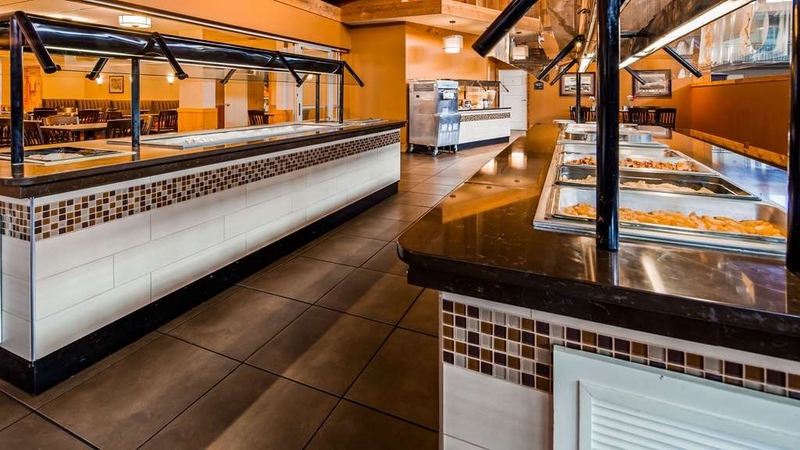 The buffets are wonderful and the pool area is well kept. I would highly recommend this motel to anyone traveling through Mo. My wife and I traveled to north central Missouri to visit Marshall, Arrow Rock, Gilliam, and Slater. Instead of driving back home, we spent a relaxing evening here. Since we had our two small dogs with us, we were happy to find a pet friendly motel. Our room was neatly kept and the bedding was tucked and clean. All staff encountered was friendly, helpful, and approachable. The morning breakfast buffet was palatable and enjoyable. My wife filled up on fruit and yogurt, while I hit the B & G and scrambled eggs. Afterwards and before checking out, my wife lounged in the hot tub while I slowly backstroked a few laps in the indoor pool. "Excellent Hotel for Dodge Charger Group"
Our car group booked this hotel for a Dodge Charger Reunion. Everyone was quite satisfied with the rooms, food, parking accommodations for car trailers and that they are very pet friendly. Will be booking this hotel for next years gathering. "Boone county draft horse sale"
Very clean and quite. Good Buffet Breakfast and it was free. Friendly people. Will stay again in the future. Good location....close to the fair grounds and easy access to the fair grounds. Not far from restaurants and shopping. So good to hear that your experience at our property was an enjoyable one. We definitely hope to see you again for the next sale. 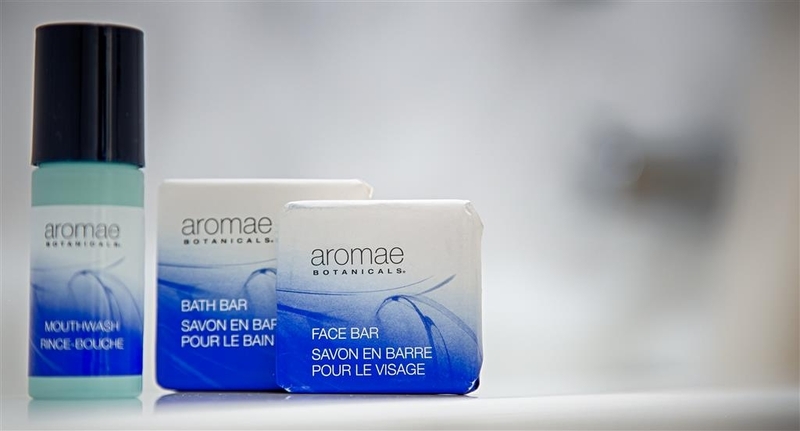 Stop by our front desk for more recommendations! We came to Sedalia to see the eclipse in totality and spend the rest of the day relaxing before going home the next morning. The room was OK but later we found the room to be noisy from all three sides. We could hear normal conversations from the rooms around us (thin walls). The buffet lunch that afternoon was great and the waitress we had was outstanding. We brought a van full of kids to Sedalia to view the eclipse and then we ate at the hotel restaurant. The waitress made our lunch something special. We also ate in the restaurant for supper. I wish I could say it was as good service as lunch. The food was great but our service was awful. I think the dishwasher was moved to waiter due to lack of employees. It took a long time to be waited on and we had to tell him his job and constantly remind him throughout the meal. Overall we didn't get much rest and I didn't get my money's worth. Hotel is very clean and the staff were excellent. Only issue was the bedding was worn and scratchy. Towels were the same as bedding. Bed was a little too soft for my comfort. Great wi-fi, TV, and breakfast! Temperature control was good. Could have used an extra blanket in the room. Hubby likes it cooler than I do. Awesome Breakfast!! Always friendly staff. I have stayed at the Best Western for years during the Missouri State Fair, and have always been pleased with my stay!! Friendly staff. Great location! Clean rooms! Great pool for the kids! We always stay at State Fair Inn whenever we are in Sedalia. The rooms are very clean and comfortable...the staff is always welcoming and friendly. The hidden gem at this hotel is their breakfast !! What a feast!!! Their food is always well prepared, tasty and there is a wide variety to choose from. We would highly recommend this property to anyone staying in or around the Sedalia area. "One of better motels in Sedalia"
I have stayed in various motels in Sedalia when I have business there. Because of such poor experiences at others in the area, I have come to rely on the Best Western State Fair Inn. Best breakfast and overall better accommodations and value for the money. I would recommend this motel to anyone staying in Sedalia, Missouri. The staff was friendly and accomodating. The breakfast buffet was delicious. Room was clean. The pool is indoor with a jacuzzi and kids pool along with it, definitely wasn't expected those, but created a nice surprise. Overall highly satisfied with this hotel and will definitely keep it in mind next time we're in the area. "Old but hanging in there"
The room is set up like the old motels. The bathroom is quite small. But fixtures, carpet and amenities are modern. No complaints really other that it could be revamped in the restaurant area. There were some stains in the tub but the towels looked new. The breakfast is probably the best of any Best Western we've been to....and we stay at a lot of them. 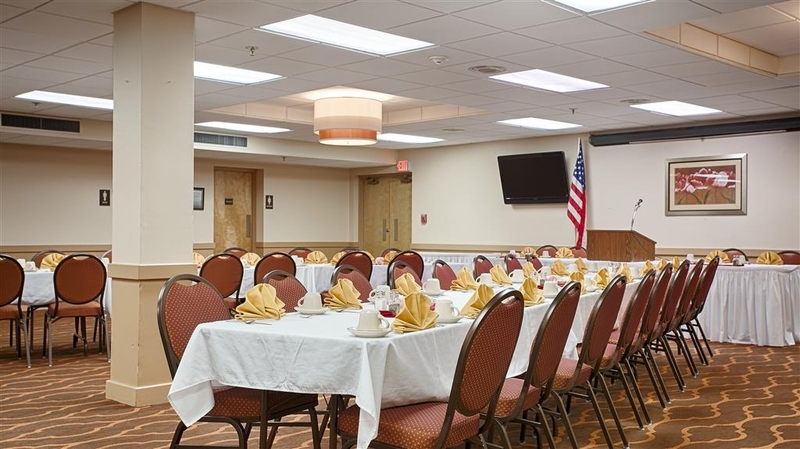 "Business Stay at Best Western in Sedalia, MO"
Excellent Hotel, great breakfast buffet, friendly people. 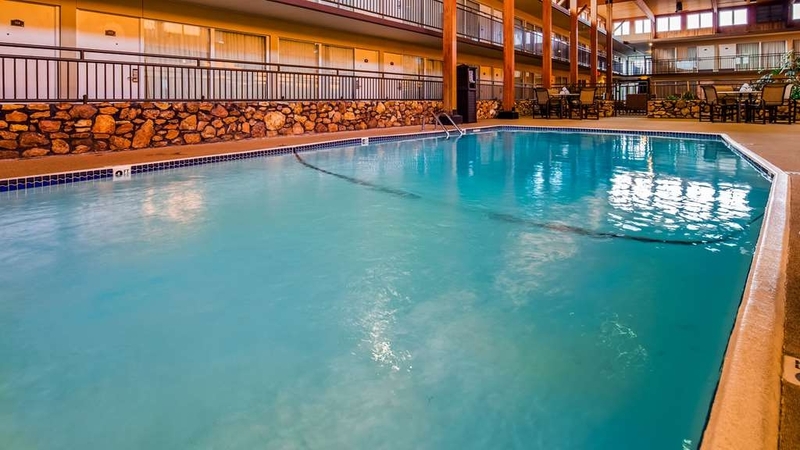 Has large inside enclosed area in center of hotel with swimming pool and hot tub. Cable TV. Only complaint was this was a business trip and the internet speed was so slow, I couldn't get my work done. We were there for a Celebration of Life! The room where it was held was nice and very adequate! We spent the night rather than drive back home. Rooms are a little dated but clean. Families using the pool looked like they were definitely enjoying it. Nice commons area! Older hotel with some updated amenities. Room was comfortable and clean. Big flat screen tv, fridge and microwave. Indoor pool and hot tubs were great! Some rooms open inside to pool/breakfast area, others to exterior of hotel. Single lady travelers might ask for an inside room. Good Breakfast. Friendly front desk. A few restaurants nearby to walk to. Nice Casey's just across the street. I would stay here again. Great hot breakfast and very clean room with friendly staff! I needed a late check out time and they made it happen for me. Pool was clean as was the inside of the hotel as well. I will stay here again in the future! I tried to book the hotel for June 23 and 24 a couple of months in advance, but was told that the hotel was full. However, the person I talked to recommended that I try again on June 23 - the day of my arrival. I did try again, and the manager was able to find a room for me for both nights. He and his staff went above and beyond my expectations to help me. That is why I am a member of Best Western's "frequent sleeper" program. "Bugs reported, front Desk wasn't helpful"
I was not pleased with my stay at this hotel. The first few staff I worked with were great. The final staff member I worked with said she wasn't surprised I found bugs in my room and didn't have anything helpful to say after that. Staff is friendly and helpful. Rooms are clean and grounds are clean. 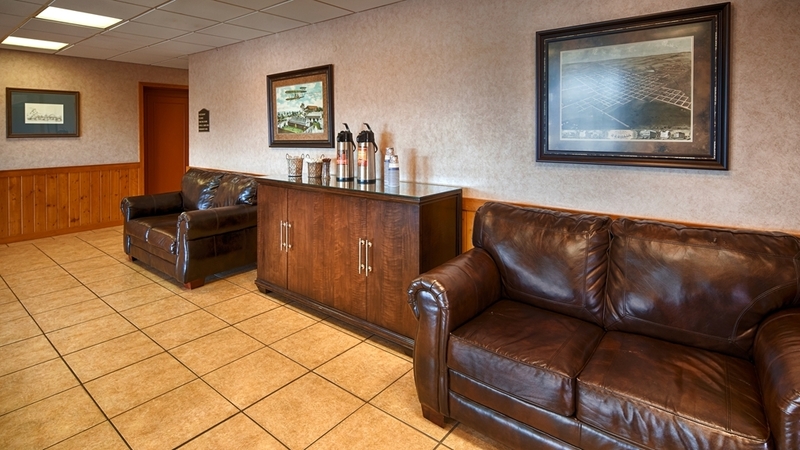 The newly remodeled lobby area is nice and coffee is always available. Breakfast buffet is just ok, but there are alot of choices available. I will visit them again! "Sad to say worst experience ever in any hotel"
"Helpful Staff for a Great Wee on Katy Trail"
We stayed at the State Fair Best Western on June 11th. We began a 5 day bicycle ride on the Katy Trail on June 12th. We called the motel to make sure we could drop the bicycles off early (11 am) on check in day. Joyce at the front desk said they could help us and would find a place to store the bikes. We dropped off the bikes the morning of the 11th,(they already had rooms clean and ready!) and then drove our car to St Charles to park and take the Amtrak back to Sedalia. When we arrived our bikes were safely in our room. We started our awesome bike ride on June 12th and had a great week. Thanks so much Best Western, and especially, Joyce, at the front desk. "Felt like staying with relatives"
Although the hotel understandably was older, it was comfortable and our room very nice with a refrigerator and microwave for added convenience. It had decent room size for our little pug which made a big difference as we had to leave her quite a few times as we were in town for a funeral. The utmost pleasant surprise was in the people who took care of us there. They went over and above to accommodate every need we had and then some. It truly was a kind and comforting experience and we felt well cared for. Like family. "Great stay and the kids loved it!" We were here on a very busy weekend. We came for the airshow at Whiteman AFB, but there looked to be some sport events going on as well as an event at the State Fair grounds. The staff was crazy friendly, honestly, I don't recall any stay where conversation with staff felt more like old friends than a weekend business stay. The room was cozy, could use 2 queen beds instead of 2 double beds, but it sufficed. The pillows were incredibly soft, and the bed wasn't, probably the one downside. There is free Wi-Fi, which you get the code to at check in and it seemed to work flawlessly for the duration of our stay. The pool, while relatively small, was nice and seemed well taken care of, as well the hot tub was immensely comfortable. Breakfast was also VERY good, more like Golden Corral than the typical hotel breakfast. There was biscuit's and gravy, scrambled eggs, bacon, sausage of some form(patties or links). As well as oatmeal, yogurt, fruit, cereal, several juices, coffee and soda. I wouldn't think twice about staying here again, which will probably come up in 2 years time. Honestly it doesn't look like much, but it was well worth our stay. An excellent hotel for the price. All staff were very professional and friendly and it is clean with everything working. The indoor pool and hot tub is a plus as well! So this is the one to stay in when in this area on your trip or vacation! "What a Neat Place to Stay"
I stayed here on a business trip for one night and when I first drove up it looked more like a conference center than a hotel but around back were the actual rooms that faced the parking lot. The rooms also face the interior “atrium” which houses the eating area, places to hang out and the indoor pool. The property is very close to the fairgrounds (hence the name) and was clean and comfortable enough with a comfortable mattress and pillows. What makes this place neat is that the exterior rooms are old fashion “drive up and park in front of your room style” while the interior rooms pretty much all face the atrium. This could make them a little noisy when the pool is full or when the property is full. There is ample free parking with room for U-hauls, trailers, etc. and there is a gas station conveniently located next door. My check in process was pleasant and the process efficient. The indoor pool was very nice and was fenced off so that kids couldn't just wonder in. It was also nicely equipped with handicap accessible features and towels were readily available for your little (or big) swimmers. My room overall was comfortable but was very small (maybe 15 X 15) with a tiny bathroom. As small as it was though, everything was conveniently laid out and it didn't feel cramped. The room had all the basic creature comforts like coffee pot, hair dryer, ironing board, toiletries, etc. and the A/C worked really well. There are not many food choices close by, but there is one really good Mexican restaurant (El Tapatio) within walking distance, a Dominoes across the street are other restaurants within a quick drive. Caution - Behind the property is a cemetery if that creeps anyone out or could be a cool feature around Halloween. I missed the morning buffet, but it looked like they were ready to feed small armies. Overall it was a nice stay and the price was very reasonable. We stayed here for our daughters cheerleading competition. We arrived late so there literally was no turning back because all the other hotels were full. My 8 year old son & myself broke out in red hives like rashes. The cigarette smoke was so thick coming through the vents that my kids could barely breathe and were dog sick the next morning. The room was so small we had trouble getting around each other in it. The bathroom you have to squeeze in. You use tickets at the breakfast buffet and there's this really skinny short white guy that walks around harassing your kids that he thinks are adults because he thinks they're trying to swoop in on a free breakfast at the best western..after you have already shown him your tickets.. to the point you have to go get your teenage children and put them right beside you.. instead of them being able to visit with her teammates and enjoy themselves just to prevent this man stressing you and your wife out. There is a wonderful lady that works there named Alice though.. actually all the staff is really nice. They just really need to clean this place up. It is filthy & old. Clean out the air ducts update the rooms & lighting. The security here is very low. You do NOT need a room key to get into the building at all. You can just walk in from any outside door. The drain was clogged in the shower. The rooms were not very clean, however the beds were very comfortable. I would not recommend the breakfast. We have stayed at a lot of Best Westerns and this was one of the Worst Westerns. This motel is on the main drag with lots of noisy traffic which we had to get used to, but the room was pleasant and CLEAN! If our room had been farther away from the street it would have been quieter. I was impressed with the desk service. The price was great. "Fantastic place!!!! Employees were sooo nice and went out of their way to make our stay great! Restaurant was also grea"
We were tired and employees went over and beyond to make our stay great!! Beds were great too!! Restaurant was fantastic and Breakfast was very delicious! Definitely would stay there again!! Bathroom was a little small. We never expected to find this Best Western had so many features. In hotel restaurant, bar and pool. The restaurant is very good the evening we came in. So inconsequence, the morning breakfast was good too. Met the daughter from Denver here to return the grandkids. The hotel was great for a one night stay. The indoor pool was enjoyed by the children and the atrium was a good gathering spot. Breakfast was pretty standard for the Best Western chain and the service was good. Ask for an inside room when making your reservation. "Exceptional Service from Friendly Staff"
I recently stayed at the Best Western State Fair Inn for a week-long event at the Fairgrounds. I found the room to be comfortable and clean. The property was well-maintained. The full breakfast buffet, included in the price of the room, was excellent, and the staff were all friendly and accommodating. Definitely would stay again. This hotel was great. I liked the outside rooms. The pool looked good. I would come back again. The room was comfortable and clean. The breakfast was worth the price and the food was delicious. I went back for extra pancakes. "Nice motel and good value"
Overall good stay. We got a room by exit door and heard a lot noise from guest talking while going and coming in door. The motel had a family reunion and kids were running and yelling so there was a lot of noise. Was awaken due to guest being loud. Staff had a challenge keeping breakfast bar replenished. I think if there wasnt a large group staying it would have been much quieter. Nice motel. Very full so didn't get room cleaned. But all in all it was a good stay. Have stayed here many times over the years. Appreciate them not charging extra for our dogs. Friendly front desk person. Rooms were a little small. Not good water pressure in the shower . Laundry facilities weren't adequate washing machine didn't spin well. Dryer didn't dry clothes . Little confusion on checking in. But the front desk staff were awesome and got it straightened out. Very nice place. Rooms are nice. Couldn't ask for a better room. Best rooms ever. Clean, really clean. Cleanest rooms I've been in. Great people! Best people ever. Wonderful place and people. Big TVs. Best TVs ever. Couldn't ask for a better place. Great place to stay very clean and breakfast was really good. They have a very nice indoor pool and the garden area was good if you just wanted to sit and read.Bar area was well stocked and they have a restaurant on site. "Maybe the fourth best hotel in Sedalia"
There is no way this place is the first best hotel in Sedalia. Very 1980s. Outdated. The indoor pool is below average. Great fried chicken at lunch. The parking can be difficult. Don't have much else to say. "excellent room for the rate"
I give this hotel 5 stars was a great stay, there was a very nice pool, hot tub, the bed was a little to firm but everything else was great. Staff was great to work with. Great breakfast and Conference room. Would stay again. Room where well stocked, very clean, and up to date. Would stay again if in the area. Most hotels we stay in for work don't offer breakfast but this hotel does and it is included in the price. That helps when you have kids and husband with you. "Really good beds at an older but still fine hotel." 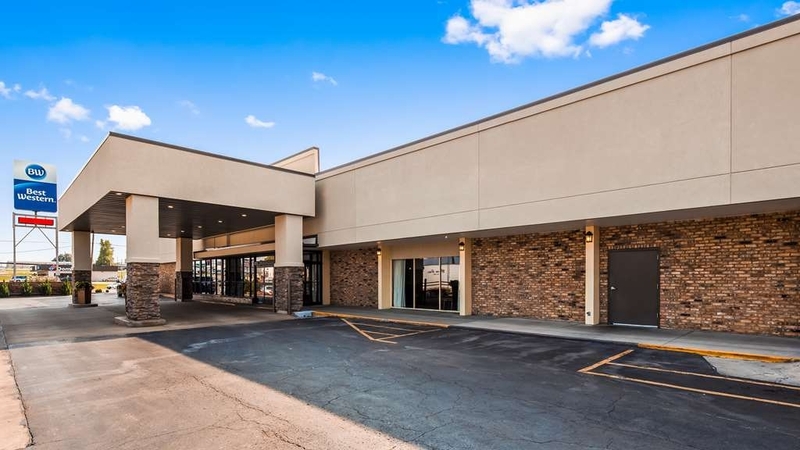 Located in south Sedalia with easy access to main highways. Ample parking with close access to rooms. This is an older property but it is well maintained and updated so no reason to avoid. We found the breakfast with more selection and quality than average with nice layout and more than adequate space. Coffee, including decaf, always available and USA Today paper provided. Beds among the best we have seen. My son and I traveled here from Georgia to hunt on our farm. We've stayed in this hotel before and lined it then. Really, everything about the hotel was very, very good. I hesitate to say excellent for two reasons:(1) for some reason there were several flies in the room in November (not really a BIG deal by still) and (2) the breakfast was fine but some items were cold and looked old (eggs) and I think the breakfast should be an option, not a bought and paid for regardless item. Overall a very good experience. "Loud, Run Down but Clean"
Clearly hasn't been upgraded in many many years. Even some of the bedding was ripped. The room was very tiny and located off the main hall. There was loud noise almost all the time. Teenagers at the pool dropping bottles from the second floor balcony right outside our room until after 11 and by 6 am breakfast is loudly occurring. Cleanliness is most important though, and it at least was clean. There was no exercise room, which was a bummer. "Hotel is fine - if you don't need to sleep at night"
The hotel was hosting many guests from a car sound national completion during our stay. These guests were very loud, used offensive language and smoked pot outside of their rooms until 1-2 am every night. . Hotel management did try to take care of the problem when we finally called the desk. The hotel had hosted this group before and seemed to be aware of the potential problems. Why did they knowingly put other guests through this awful experience? Loved the hotel! Great staff and the breakfast was amazing! Will stay again! Indoor pool/hot tub/lounge and bar. Easy access! Clean comfortable rooms. Rooms were quiet. Parking lot was well lite. Price was very affordable. "Mostly good, but . . ."
An older motel but the rooms have been updated, are a decent size, and clean, with a microwave & small refrigerator. The bed was comfy but my sheet had 2 holes in it - I would expect better. The hot breakfast buffet was pretty good but it would be nice to have a fruit choice besides just apples & oranges. Breakfast seating spills over into the pool area, so if you want quiet, I'd suggest an outside-facing room, especially around the back. That's what we got and all was OK until about 5:45 a.m. when someone's large dog down the hall started barking & went on for 15 minutes. Yes, by then we were all awake. Not the hotel's fault but if they take in dogs, the soundproofing could be upgraded. There are fast food places (Sonic, Subway, etc.) on the same side within walking distance and a handy gas station next door. Altogether an OK (but not great) stay. Very dated and the bathroom was not very clean. Sunday morning breakfast bar was yummy and open till 10! Bacon, eggs, and yogurt bar! Take your breakfast pass. They did ask for it when we sat down. Pepsi products in the vending machine. Boo, hiss! Nice hotel or main highway easy to find helpful personal. breakfast buffet very good. will stay next year. they offer clubs a discount rate. the pool and hot tub look very inviting will try out next time. good coffee in front lobby. 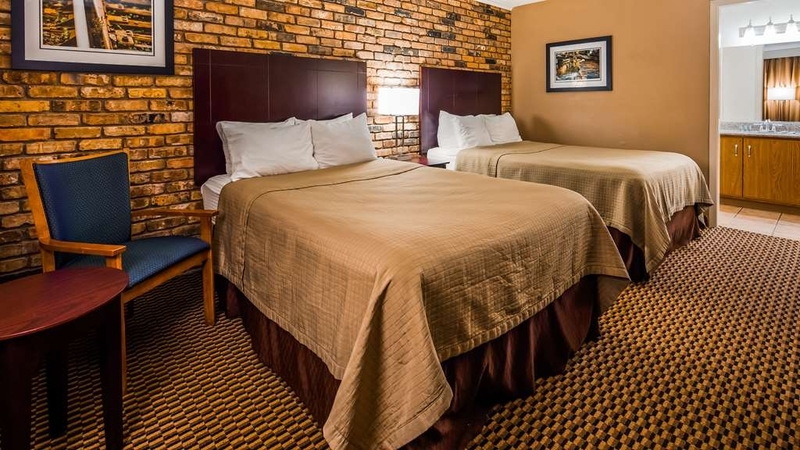 "Best value for money on our trip"
The architecture of this Best Western looks like it was built in the 1980s but the rooms have been updated and are attractive, clean and comfortable. Our room was located on the back of the hotel away from the main road and was very quiet. (I recommend requesting a room away from the street.) The indoor pool was a bit chilly, but we enjoyed the jacuzzi. The staff were friendly and accommodating. The breakfast was the best we have had on our trip with a wide range of choices including cooked (not instant) oatmeal and biscuits with gravy. The entrances to the rooms are either on the inside courtyard or the outside parking lot. If I were a single woman, I would ask for an inside room. I can always enjoy my stay at the Best Western in Sedalia. I know that the rooms are clean, comfortable, and affordable. The staff is always helpful and great listeners. 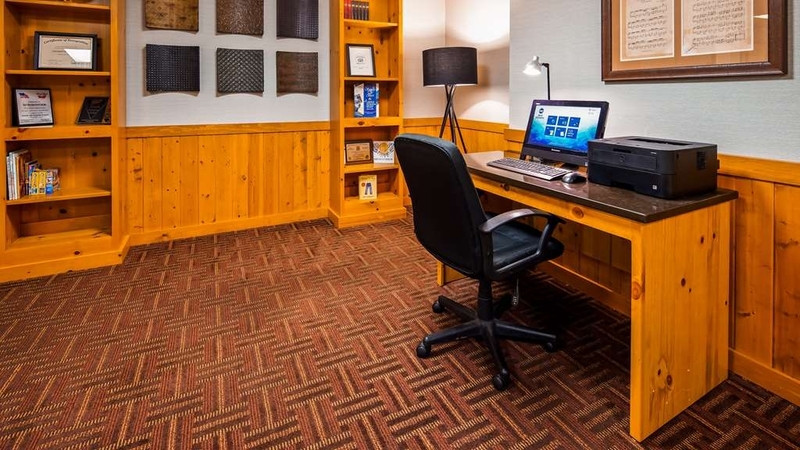 The beds in the room allows for a great nights rest, plus great space to spread out work notes to put in reports. It is like having a comfortable office on the road. I booked last minute to attend the State Fair. VERY nice people. The hotel was clean & everything was in working order. The free breakfast was so much better than I expected. Easy access to the fairgrounds from their location. Wonderful hotel, clean and beautiful inside. Amazing pool and hot tub, helpful staff and free buffet breakfast. Pet friendly (with no extra charge) and the beds were super comfy! We definitely felt like we made the right hotel selection! We will definitely visit again when passing through. It was a wonderful experience. The service staff is wonderful! Rooms were clean and beds comfortable! Being there for business, the wifi was extremely handy. The only not "perfect" experience of this trip was the smell in the room. There was a slight smoke smell when I was in a non-smoking room. The smell didn't bother me after a few minutes. It is not something that would keep me from staying there again!! Great job Best Western Sedalia!! I will be returning! This is an older motel with both inside and outside doors to rooms. The motel looked very good and all things worked as should. Very friendly staff. Very good free breakfast. Easy access from main highway. Lounge was good with reasonable prices. I will also stay at this motel when in or near Sedalia. We stayed here during our Katy Trail ride. It is about a mile from the trail. The room ws nice with comfortable beds. There is no elevator so we had to take our bicycles up the stairs. A very nice gentleman who worked there helped us. They have a breakfast buffet which was good They need a can or something outside for all of the smokers, there were lots, to dispose of their cigarettes butts. Lots of them on the ground. "Perfect for Bicycling the Katy Trail"
This is a great place to stay if you are biking the Katy Trail. Easy to get on and off the trail (about 6 blocks of low traffic side streets). It has a great breakfast and an excellent restaurant. A great pool and hot tub. Your can eat in or call for several different restaurants/pizza places to deliver food to the hotel. You can ask for ground floor rooms with outside doors for getting your bikes into the room easily. Clean older hotel. Service and the free breakfast were great. Pool was a little cold. Pet friendly rooms were a plus. Location is good, close to the new Casey's next door. Room was a little dated but very clean. "Nice place with great breakfast buffet!" Yes, that is right - a breakfast buffet; fruit, cereal, pancakes, sausage, bacon, scrambled eggs, biscuits & gravy, juices/coffee and grits I think. No bagels or donuts, but very filling. Ok, so when I arrived (I had asked for a quiet room), they did put me on the outside away from the inside pool, so that was good. However, when we entered our non-smoking room it was evident people had smoked in it, plus it was along the traffic. I asked for a room on the back of the hotel (highly recommend it) and that room smelled great and it was quiet. It was nice and clean, with an updated bathroom. Nice flatscreen tv and wifi worked well. The pool is nice (3-9' deep) and there is a hot tub and 2' kiddie pool. The area were you eat is nice and there is also a restaurant there. For an older hotel it was quite nice. I have used this hotel for the past three years. Everyone knows me by name and sometimes the sound of my voice when I call to book a room. Best Hotel EVER. The staff is so friendly. Breakfast is always on point. Clean rooms. Great rates. I love the beds and pillows, I want to own them someday. Ha-ha. I have stayed here for a night during the state fair the last couple of years. This year they may have refurbed. The place is very clean and the carpet appears to be new. For Sedalia, I think this would be one of the top picks. They have a great breakfast each morning. If you are concerned about security, they have several rooms with interior access only. This is a nice place to stay and the staff is very friendly. "Nice Stop for an Over Night"
We did not have previous reservations but needed a place for the night. We read other reviews and they were not too favorable so we asked to see a room first. The hotel is set up as an atrium, which I thought we be very noisy with the pool in the middle. It was very quiet, which the front desk assured me and they were right. They patrol every 30 mins after 10pm to make sure no one is in the area or making noise. The rooms were very clean and renovated. It was a great place for one night and the breakfast in the morning was more than expected for typical continental breakfast. A full buffet with many choices. We were very pleased. "Just ok, but a great price." Not a terribly bad place. We had to stay a few nights due to upgrades on our house. They do allow pets and don't charge which was a huge help for us. The staff was extremely friendly and our host at breakfast was so nice. I locked myself out of my room once and they had someone meet me at my door to make sure I got in ok. The rooms are a little outdated, but nice and clean. My children really enjoyed the indoor pool. They were working on the parking lot during our stay and we kept having to move cars, which was an inconvenience. My mother in law had to switch rooms twice. The first room smelled horribly of smoke and her second room had the mirror off the wall and laying on bed. She finally landed a decent room. All in all, we would probably stay again if we had to. In my opinion it's better than the Comfort Inn and not overpriced like the Holiday Inn Express. "Old School Cool with outside access"
It was a great night stay, and very motorcycle friendly. Best part was the outside access to the room which allows for easy transport of the gear. Top it all off with a breakfast BUFFET and you are talking motel gold! Bathrooms were a bit dated, but the bed was comfortable, room was clean, and the price as right! Definitely would stay again. I have stayed at every lodging facility in Sedalia but none can compare with the caring, helpful and friendly staff at the Best Western. They genuinely care about making you feel like family and go out of their way to make sure you are comfortable. The staff at this facility is ultra friendly and efficient. The breakfast is the best we've had in our U.S. travels. The only downside is that this property is aging, and it shows a bit. The location of the property is very good, being close to the 'old' area of the city, and near restaurants. We would return to this property when we're in the area. There was no charge for our pet, which was really nice. 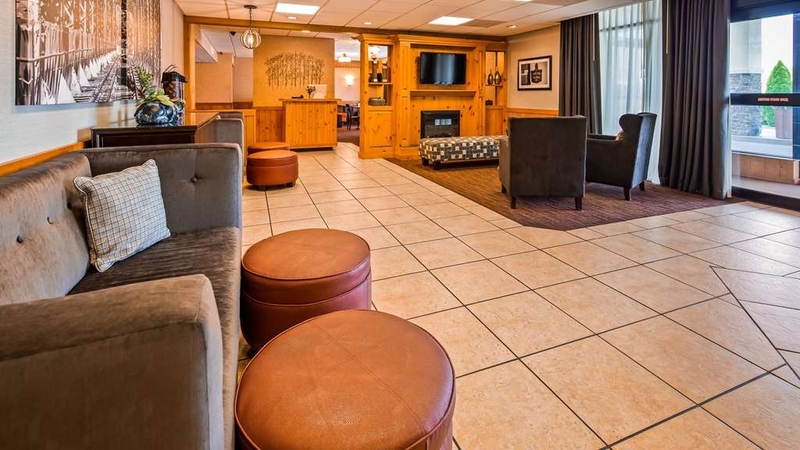 "Clean and Comfortable; Friendly Staff"
This pet friendly motel is an older property that is well maintained. The room was clean. I was very comfortable in the room. Great night sleep, comfy bed. The room could use a little updating, however it is not bad at all and the bed seemed pretty new and I was comfortable, so it's all good! A full breakfast is included in the cost of the room. There were lots of charging stations in the room, both at the base of all the lamps and on the night stand. While the hotel is located on a busy street (South Limit Avenue), the rooms are off the back of the property and face a quiet residential street, just perfect for walking the dogs! This hotel easily gets 5 stars for its hotel class. Rooms were standard rooms but were clean, beds were very comfortable, and AMAZING water pressure on shower. For a Best Western these three things are what I look for in a hotel. The staff was over the top friendly. The indoor pool was 9' deep and was a huge hit for my three kids! I would say if you are traveling and want quiet -- do request to not be near the pool. But if you are within "shouting distance" of the pool -- don't fret. The pool hours are 10am- 10pm. The staff was very strict about these hours -- and I appreciated that since my room was poolside. Morning breakfast was a hot breakfast -- heavy for my family's taste, but the other guests seemed to like it :-). This is now my hotel of choice for when I'm on Sedalia. They had a great breakfast buffet, clean rooms and sweet employees. It is a large atrium type pool area -I recommend inside facing rooms if you come to swim. The only negative was the coffee maker had no three prong plug that I could find to use. The rooms have microwaves and mini fridges. AAA said only two stars, so was very pleasantly surprised to find clean rooms, quiet atmosphere, easy access and friendly staff!! Not bad at all. 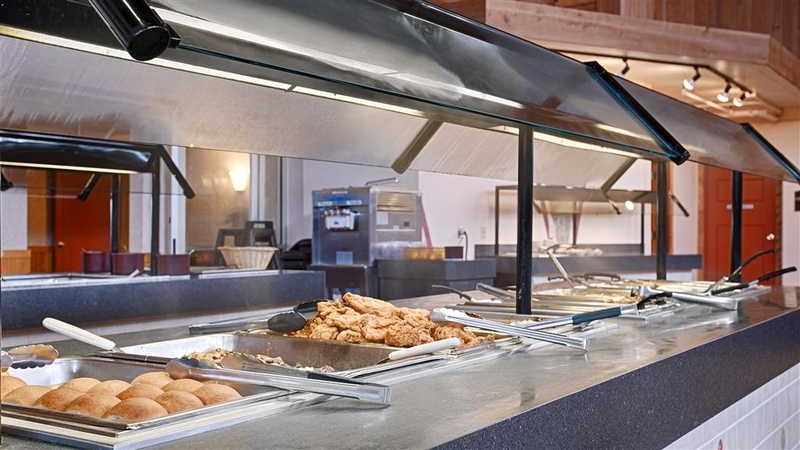 Full breakfast buffet included--only two issues I saw was the food was not hot on the buffet line and you could not take it away from the area---no take out boxes unless you paid full price for the breakfast??? AND my pup got to stay free!!! Always a great stay at the Sedalia Best Western. Very friendly staff, good food and clean comfortable rooms. I look forward to staying here on business, getting a good nights sleep and ready to take on the day or week. My wife and I arrived on a slow Monday in May. Front desk clerk, Ellie, appeared more interested in hanging with her boyfriend than helping guests. With a room booked on Priceline, she was totally inflexible regarding room requests, in spite of high vacancy. The BW State Fair Inn is a tired old motel -- not three-star! Most rooms open to the outside. Furnishings are cheesy. Maintenance fair to poor. Tiny bath with 6.5' ceiling. But the indoor pool and hot tub are well maintained. Breakfast options are just-adequate, but graciously hosted by Anne, who is the nicest person we met in the otherwise cheerless town of Sedalia. "Great place to sleep and play"
Great hotel, wonderful pool area and great staff. Free breakfast buffet that beats every other hotel I've ever stayed. Clean with a helpful staff who goes out of their way to see to your every need. If I'm in the area I will drive a hr to stay at this hotel. ...but what?? Small beds! Thought I was getting a room with 2 queen beds. Got 2 long twin/full beds. Did not sleep 2 adults in one bed comfortably. Nice breakfast buffet and nice large gathering area near pool. Will return if extra bed is not needed for 3rd person. Staff was very helpful. Hotel was clean and comfortable. Décor was a little dated. Breakfast was excellent. We would surely stay here again if returning to Sedalia. We attended a Missouri Ranch Horse Associate show and had several other folks from the show there as well. Very close to the fair grounds. The location is good for this area. The hotel is clean. The room was very small with twin beds obviously designed by the airline industry (small). The bathroom you can stand by the door and touch the wall on the other side of the shower. The water control was either hot or cold (you could with luck a happy medium). As to the good side of the motel. It has probably the best full buffet breakfast I've had in a medium ranged US motel. The dining area is very big. The pool is somewhat small but does have a 9' depth at one end. My grandchildren enjoyed it a lot. It also has a small hot tub and a small kiddie pool. This hotel is okay. I've stayed two times for a week each visit in the past 2 years. The inside rooms are very noisy you hear everything. The hotel is clean and beds are comfortable. The rooms have a microwave and refrigerator. They have breakfast everyday. I have only had the eggs as I don't usually eat breakfast and I'm vegetarian. If you like to work out they do not have facility onsite, they give you a pass for a local gym. This hotel provided the feel of home town. Very friendly, wonderful caring service. The pool water was warm and the breakfast was hot and wonderful! The mattress was so comfortable, I had the best nights sleep. This hotel suited our needs during our stay in Sedalia. Friendly staff and room was very nice. Lots of variety at the breakfast bar and the hot tub was a welcome amenity. We would definitely stay again! This was my first time to visit Missouri. I want to go back. This hotel was a VERY clean and VERY quiet hotel. Shelby was the first person I met when I checked in. She was wonderful. She was there every morning when I walked past the front desk and everyday she told me good morning and if my stay was going okay. I also met the Manager of the hotel. He went out of his way to speak to me on numerous occasions and always wanted to know if my stay was pleasurable. It certainly was. The only problem I incurred was I ate lunch there and used my credit card, but when I ate my evening meal and tried to pay for it with my credit card, was told can only pay for 1 meal with a credit card. If and when I return to Sedalia, I will most certainly stay here. Thanks for a wonderful time. This is an old hotel, but the room are updated and very clean. The breakfast was good but basic, cooked in the restaurant, not precooked. Beds were good. For a small town area like Sedalia, it was great. "Very basic but all in all a pleasant stay"
We only spent one night. The staff was friendly, the room was clean, the bed was comfy, the neighbors were quiet so we were satisfied. The hot breakfast was better than most continental breakfast. It included a variety of hot items as well as cereal and fruit. This is a super hotel if you're wanting to have a family gathering and have a place to meet up. The courtyard is great and is located right by the gated pool with the rooms surrounding it. The breakfast was AMAZING. Nothing I expected--it was probably the BEST breakfast I've ever had from any of the high dollar hotels. Our only issue we encountered was our room location. We were in an exterior room and the weather was horrible so we had to walk outside to go through another door to get into the pool area. The girls were freezing because the temps were so low and it was tough having them go outside. I would suggest trying to reserve an interior room when booking. The rooms were clean and nice. We were there for a wrestling tournament that started early on saturday. My grandson loved the swimming pool. We had a room on 1st floor very quiet at night. And the breakfast was great. Nice enough hotel. 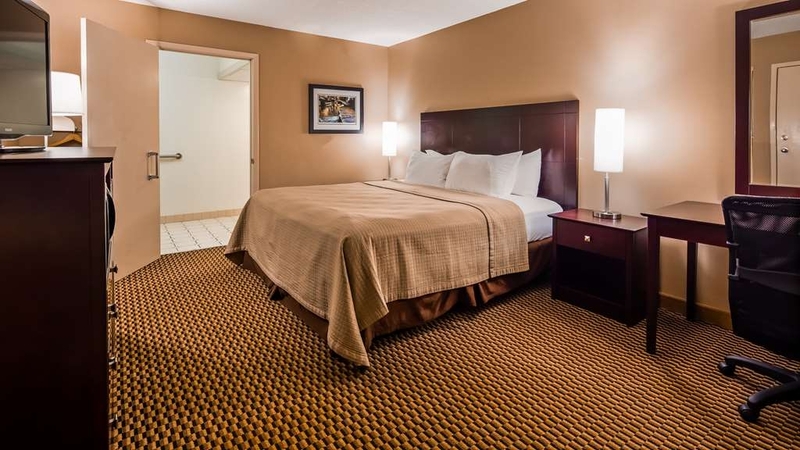 Comfortable beds, fluffy pillows, clean rooms. Fridge, micro, and a nice tv round out the room package. Indoor pool is a plus, although the chlorine smell can be overwhelming at times. We got a poolside room to watch the kids while we relaxed. This had pros and cons. Easy eye on kids, but was quite loud at times. Pool closes at 10, but kids and adults didn't leave till much later. Called desk to quiet them down, and they did so promptly. If you're early to bed, I recommend away from the pool. Good breakfast buffet made the morning nice. Overall a good stay for the price, and one of the nicer in the area. Stay once a month at this location. Older location but has had numerous upgrades in recent months. Very nice. Interior rooms very quiet. My favority place to stay every month! If your in the area for business or pleasure, I suggest staying here. Great place to stay when visiting Sedalia. Have stayed here a few times now and love it! Nice rooms, big pool, wifi, breakfast buffet is delicious, and staff is very friendly. I will definitely be coming back! "Smelly rooms and hidden fees." Myself and friend booked a room at this motel while there on business. Other acquaintances of ours also stayed in this motel and we saw/smelled their rooms first hand. When we checked in, the clerk (who was extremely difficult to understand due to what I believe was an East Indian accent) requested that I pay a $20 security deposit in addition to the cost of the room. When asked why he said it's standard procedure. When our other friends were asked about paying a security deposit when they paid for their room when they checked in they said they didn't have one. Two of our three friends also paid in cash. All weekend I worried if I would actually get my money back, even though I made the clerk sign the receipt stating I was owed my deposit back on checkout. While our room smelled better than our friends' in the next two rooms, it was very dated, a terrible paint job, linens were OK and the mattresses were so-so. There was a leak from the toilet lines that left a puddle in the bathroom floor that we discovered every morning of our stay. Our friend next door to us had a 'no smoking room' that reeked as if it had been smoked in for 10 years. When she went to the front desk to complain the very first night after she checked in, the clerk gave her a bottle of air freshener and told her to return the bottle. She returned an empty bottle and we all still had to go and buy more air freshener at the store for her just so she could sleep. Another set of friends two doors down from there had a room that absolutely stank like gym socks and unbathed dogs. Even with the extra air freshener we bought, it didn't touch the smell. Completely disgusting. There was a random food wrapper behind a door in the hallway, near the exterior hall door on the east side of the building. I saw a mouse scampering from that wrapper down the hall and under a room door on our last morning there while we were loading our luggage. Overall we felt like we were in the ghetto and next time we will pay extra and stay at the Best Western down the road. We are in Sedalia as a group roughly once a month for up to three days. NEVER AGAIN. Nice place, will be back for sure. Love the hot breakfast and yummy bacon! Next time I stay I will make sure I'm not in the south west corner though, there must be a mechanical room nearby, because there was a loud hum all the time. I've been staying here on business for over 4 years. The staff always does a great job, and the facility is first rate, even for an older location. Better than some of the newer locations I stay. You'll not go wrong staying here. great rooms, great pool and hot tub, only complaint would be, I really wish that they would use real eggs for their breakfast but everything else was top on the line. Front desk people went out of their way for us including bending the rules about how many guest we were allow for using the pool. "Interior is far superior to outside." Upon driving up, I could see this was an older motel. It did not look very enticing. Entering the lobby it was apparent they have done extensive renovations. My room, a bit small but almost everything has been replaced or remodeled. Bathroom, new everything! Mattress, bedding, pillows- superb. The breakfast buffet was far superior to many more expensive places I've stayed. ( especially if you love good bacon ) I stole a few pieces for my K9 partner, and he had wonderful place to romp in the large areas adjoining. There are rooms that open to the interior pool area, but I was in the back opening to the outside. Far better for my needs. Thank you management , it shows you care. I highly recommend this Best Western. The front desk staff was great to work with, very personable and helpful. Our group wanted to get together in the evening to relax and be able to chat and there was plenty of area available to congregate. Nice place to stay,very clean,friendly staff,good breakfast bar.Close to everything you might need.Lounge,pool area is awesome for get together with family members.Staff goes out of their way to be helpful,usually stay there everytime we are in town.Love the open pool area. The breakfast selection is great I'll give them that. The indoor pool is really nice for those winter months when the kids wanna swim. BUT watch the chlorine levels. If you have kiddos, buy some goggles before swimming. My kids eyes were so sore they didn't wanna swim again the next day. Otherwise it's an ok place to stay but nothing amazing. Staff is friendly. It's in a safe location. I'm sure we;ll stay again while there to visit family. My wife and myself have been staying in this hotel for several years now and it has some nice updates this year. Breakfast included is always a bonus. Staff is very responsive and accommodating, will stay here again. "Great Hotel - Great Staff"
We visit Sedalia, Mo often and try and stay at this hotel. The staff and management are top notch and will take care of you. The rooms are great! The FREE breakfast is equivalent to any Denny's or Waffle House PLUS there is a restaurant attached. Don't forget about the indoor pool! Lobby and commons area are great to relax it. I recommend this place to anyone! 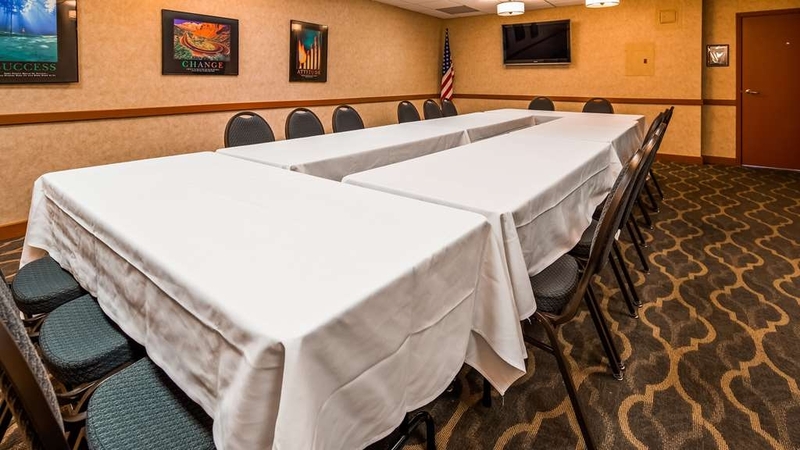 "Best Best Western of recent memory"
I recently started and ended a bike ride with stays at the Sedalia Best Western State Fair Inn and am glad to recommend this hotel for short or longer night stays in Sedalia, MO. I stayed in two different rooms on different days; both were clean, well appointed, had excellent HD TV's and excellent wireless Internet. 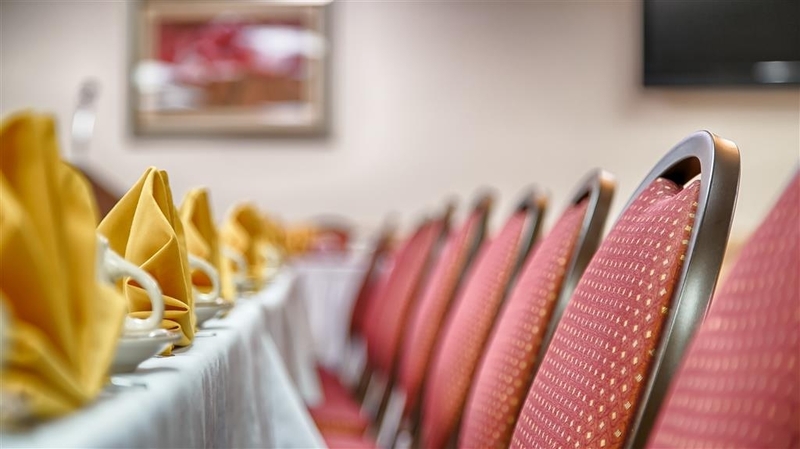 The hotel also has a large and comfortable internal attrium with pool, sauna's, and conversation areas as well as extended areas into the attrium for free breakfast dining. We stayed with our two young grandsons and they have a very nice pool and kiddie pool and hot tub. They have a great breakfast bar, both hot and cold. Our only negative was a very small bathroom. We felt very claustrophobic with the door closed. "Great Service and Clean Room"
An older property but very clean and comfortable. Our room was very clean and the bed was great. It was very late when we arrived but the staff was very friendly and upbeat. The breakfast that was included was not the normal re-heated frozen egg patties and stale bread for toast, it was real food and was very good. This motel is in need of a complete make over. It needs elevators installed. The dining and lobby area need to be separated from the pool area so the humidity and chlorine odor don't ruin the dining experience. We had to eat elsewhere because of this. Older property but very nice. Staff all wonderful. they deserve some cudo's ! Breakfast being included was a BIG plus. The pool/hottub area excellent. Abit farther out than I wanted from DT KC but still easy to get to and from. We have stayed at the Best Western in Sedalia Mo. on many occasions and the service is always top notch. The rooms are clean and the food is wonderful. The grandkids love for us to visit and take them there for a few days. The pool is well kept and they love that they can swim until 10 PM. "Possibly not bad, but I would not return"
Sort of the run of the mill repurposed 1960's Holiday Inn that has been converted into a Best Western. Have stayed here previously and was not outstanding, but acceptable. This stay I requested a smoke-free room which was on the second floor. There is a problem apparently where guests in the first floor room below are smoking you get the smell up into your room above. Was actually pretty obnoxious. They either need to correct this arrangement, or better yet, why not make the entire facility smoke-free. Otherwise fairly standard with sort of a musty smell when you first go into the room. I arrived early in the afternoon. I asked for a ground floor room and was denied. I do not believe that they were interested in renting me a downstairs room. At my time of check-in I did not notice a lot of vehicles. When I checked out all the desk clerk could say was we didn't have any downstairs rooms . Not acceptable. "Great breakfast buffet, nice room, nice price, best bacon on the road." Booked a last room but was pleasantly surprised. Had stayed at this hotel many years ago and found little had changed. Nice clean spacious room. It was the only one available but was a smoking room. I couldn't tell the difference. WI-FI available as was free buffet breakfast. Really crisp bacon, scramble eggs and more. 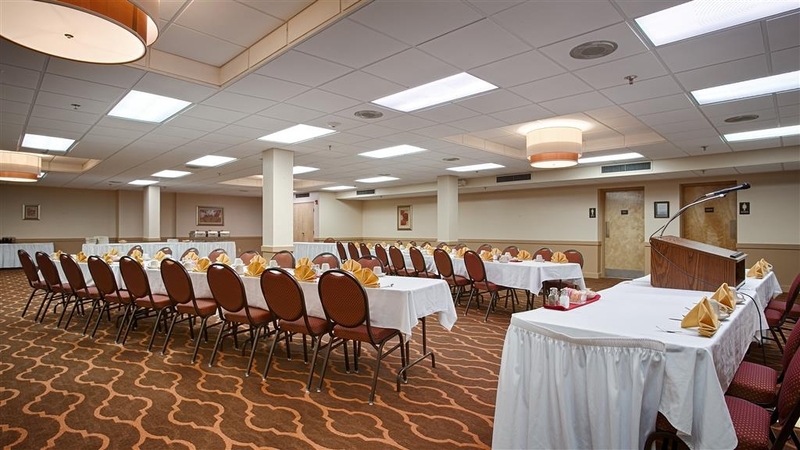 If you arrive late you may have to compete for parking as they have a large banquet room for weddings etc. Pets allowed at no charge. Reasonable room rate. I'll stay again. This hotel was comfortable and conveniently located for a family visit to University of Central Missouri in Warrensburg. It was only about a 30 minute drive from door to door. Plenty of restaurants within walking distance or just a short drive. There is a very nice Casey's convenience store just steps away. Lovely staff, emaculate room. Super comfortable bed. Fine breakfast, clean spacious facility. my son loved the pool. We were two blocks from the soccer tournament venue. Hooray! No hurry, no traffic. Saturday morning sleep in!